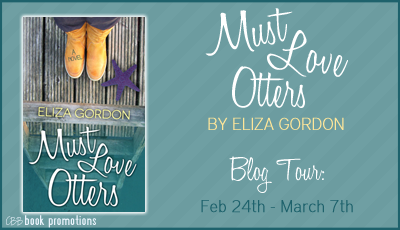 Welcome to my tour stop for Must Love Otters by Eliza Gordon. This is an adult romantic comedy and the tour runs February 24th- March 7th and will consist of reviews, guest posts, interviews and more. You can find the full schedule on the tour page. Hollie Madeleine Porter. Do I love it? Does anyone love his or her name? Once I got through fifth grade and the Christmas jokes (“Hey, Hollie berry! Where’s your wreath?”) faded, it wasn’t so bad. Not as common as some, unique enough to be interesting. My dad has a thing for the holidays, so voila. I am Hollie. Used to be A Girl Who Shall Not Be Named. We cannot give her power or her evil will grow. These days, it’s a hunky concierge fellow who treats me like a goddess. I like my dad an awful lot. I’m not awesome at making friends, but I’m working on it. I used to be a 911 operator. That was awful. I don’t know how I ever passed the psychological evaluation to land that job. I was stressed out every time I walked into that building. I hate it when people die on me. Also, the troll lady creeped me out. And what she was doing with … never mind. Let’s move on. Dream job? Definitely working around animals. And watching otters. I love the beasties. People doing good. Life is hard. I find myself inspired when I see random acts of kindness, or when I see people diverting from their usual path to step out and do something bigger than themselves. That is remarkable. Cookies can also be very inspiring. The Oregon Coast. And now Revelation Cove, British Columbia. A fun dinner party would include Jane Goodall, Harry Houdini, Superman (the one from Man of Steel), Katniss and Peeta and Haymitch, William Shakespeare, Jane Austen (and she could bring Mr. and Mrs. Darcy along and maybe even Mr. Bennet, Lizzy’s dad), Patton Oswalt, and Kristen Wiig. Why? Because then I could cover all the bases: animals, magic, a hunky piece of man candy who could save us from terribleness, Katniss would make sure we have food (hunter! ), Peeta could bake a cake—and I LOVE CAKE—Haymitch would bring the booze, Shakespeare and Austen because duhhhh, Austen’s fictional characters because I really just want to listen to them talk, and Patton Oswalt and Kristen Wiig could provide comic relief. Seriously. This would be an epic dinner party. My fourth toe on each foot is really weird looking. And I can pinch with my feet. Hard. Kristen Wiig. If you please. We’re splitting time between Portland and the Cove in BC. Portland has awesome parks and food trucks; Revelation Cove has otters. What else is there, people? Hey, thanks for the chat! Next time I promise not to finish the cupcakes before you arrive. I do have to say, they are splitting their time between two very wonderful places! I do love the Oregon Coast and Portland is awesome, I'm glad I live here. 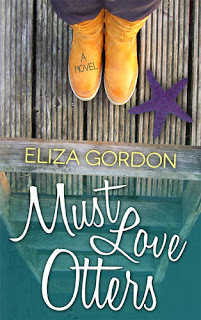 I do want to visit Revelation Cove! Thanks for hosting a tour stop Suzy! I love romantic comedy. It's bright my day. Hollie character sound fun and self-confident. 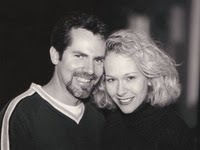 Happy ever after... I'm in. Its my pleasure, Candace! I'm quite envious of you living there. It sounds beautiful. I'd love to visit one day.